You want to lead your kids in a growing relationship with Christ. But with your active family’s busy schedule, it can be hard to find the time. You may even feel unqualified to lead your children. If you’re like most parents, you’re still trying to figure out what faith looks like in your own life. Engaging with God’s will through His Word isn’t school textbooks and quizzes; your family life is an adventure. Talk with your kids about things relevant to their lives, helping them apply biblical principles with age-appropriate language they can understand. Don’t try to “teach.” Encourage exploration, with gentle course corrections where they need it. The average adult can listen for about 30 seconds before their mind wants to wander. Kids’ attention spans are even shorter. So instead of trying to “explain,” try asking leading questions. Feed your child’s natural curiosity. Your questions — and theirs — will fuel meaningful conversations. Teachable moments happen everywhere in our everyday lives. When you see a squirrel burying an acorn, marvel together at how God provides for us. When you see trash in the park, say it makes you sad because God wants us to take good care of His earth. Make simple, connectable observations. Live out your faith. Allow God’s Spirit to speak into your life, constantly transforming you into the person He wants you to become. You can’t lead your children to places you haven’t been. And connecting with the Bible — every day — is one of the best ways we know to grow. Schedule regular times to talk at home about faith and spiritual things. Then demonstrate how we put faith into action. Lead your family to be spiritual contributors, not spiritual consumers. 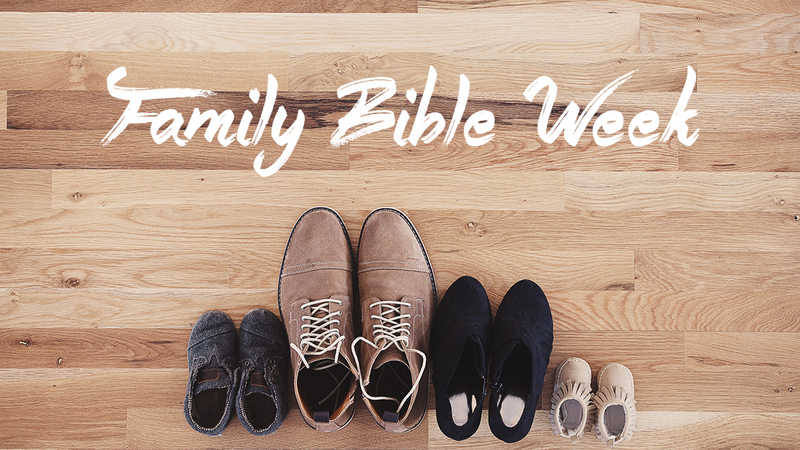 Make it a family priority to attend church regularly — and to participate. Then stay consistent, both at home and in your community of faith. 6. Talk to God together. Lead your kids in praying about the things they care about. And lead them to never stop taking those things to God. Model for them how they can listen for His still, small voice. Keep track of things you’re praying for together, and celebrate when God answers. Demonstrate for your children what a life of worship and gratitude looks like. No, that’s not a mistake — this one is so important, we put it on our list twice! When your kids enjoy exploring their faith with you, they’ll look forward to family time together. They’ll even initiate it! Even better, you’ll be giving them the most important part of their faith: they’ll own their own spiritual growth, continually drawing closer to God. Children, do what your parents tell you. We’d like to thank Focus on the Family for providing their excellent resources on building your family’s faith.